Long before Paula Deen opened a restaurant, built an empire, and then chose to answer truthfully when she was asked a specific question in a deposition, the place where I live has been a place where race matters. And I am not just talking about Savannah, the city in which I live. I am also talking more specifically about the place where my house was built a little over a quarter-century ago. 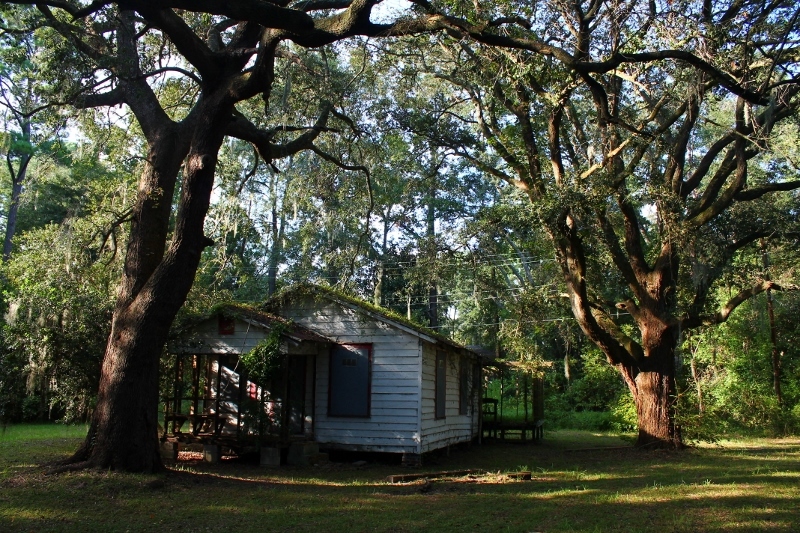 Before my house was there, that place which is now my neighborhood was a part of the Cedar Grove Plantation, where Black slaves and White masters both had roles in the work of growing things on the land. Later, if my guess is right, the land on which I live belonged to the community of Nicholsonboro, a group of people who had been freed from slavery, traveled to the edge of the Vernon River, and then managed to get the owner of the Cedar Grove Plantation to sell them 200 acres of his property. I have written about what I know of the story of that land here and here, if you are interested. For generations, one’s race mattered a great deal to the people who lived on the land where my home and neighborhood now sit. It determined where you lived, where you worked, where you traveled and whom you traveled with, what you did with your time, and even where you were buried when you shook off this mortal coil. It determined whether or not you were considered someone else’s property. It determined whether you were part of the community, or if you were someone who was just passing through. For a long time before Paula Deen came along, race mattered in the place where I live. But now, race is a hard thing to talk about. I know a lot of good, kind people who have gotten themselves in trouble at their workplaces, in their neighborhoods, in their churches, and in other important relationships in their lives because they said something about race, and someone took offense. This is, of course, not a phenomenon unique to my current community; the same thing has happened in other communities where I have lived. And it is not something reserved for other people; I, too, have been challenged on my behaviors in relating to the people around me who do not look or act or think like I look and act and think. Frankly, those challenges have been gifts which have led me to really look at my behaviors as well as my feelings, to understand those forces that have influenced me, and to commit myself to acting better. But those conversations and challenges are always, always awkward for the people involved, the people around them, and the whole community. So I long to be able to have real conversations about race and about racism. I want to be able to talk about what prejudice is and where it comes from for each of us, what stereotypes are all about, what power is and where it comes from, and what it means to have privilege and to not have privilege. I long to talk about what policy issues like the Supreme Court’s decision on the Voting Rights Act means to different people, even in my state, where the problems addressed in the Voting Rights Act were historically most problematic. A post I saw on Facebook this week identified one problem with the Supreme Court decision: the writer claimed it divorces the concept of equal access from history. So I long to talk about how history, both the history of our state and nation in general and the history of the place where I live, affects the meaning of race and racism in the present. Mostly, I long to talk about what it means to live in a community where not everyone looks, acts, and thinks alike, where some people say things that offend others, and where some people challenge others in ways that help them to productively examine their behaviors and feelings. And it is clear to me that the whole mess that Paula Deen finds herself in is clearly not the way to have that conversation. Paula Deen admitted to saying a particular word sometime in the past, and that confession has led her to be tarred with the label of “racist.” I am no expert in these matters, but I do know some things. I know that racism is not chiefly about a particular word spoken by a particular person. I know that it would make life a lot easier if racism was really about single words spoken by individual people. If that was true, then I could simply banish those words from my speech, and then I would know for certain that I am not a racist, and I could even begin to believe that racism doesn’t exist outside of the people who use those words. But I know that is not how racism works; I know that racism is about power added to prejudices, and I know that, when you start talking about power, you move beyond any individual’s words and actions into a place where you have to talk about systems, institutions, cultures, and other things that are out of any individual’s control. I know that these conversations are fraught with fear, anger, anxiety, and mostly awkwardness. I just received a book that was written this year by Bruce Reyes-Chow, who is someone I know, but do not know well. The book is called “‘But I Don’t See You as Asian:’ Curating Conversations About Race.” One of my favorite lines so far in the book speaks to my longing. Bruce says that he wants to talk about race because, “just like that couple who can’t make the time to see a counselor, if we do not tackle our problems head-on, we will condemn ourselves to the building up of resentment, anger, and distrust” (p.24). If you want to read Bruce’s book for yourself, you can find it in various formats on Amazon or Barnes & Noble. I don’t want resentment, anger, and distrust to affect the relationships in my communities any more than they have to. I want to be challenged in a way that leads me to receive and to give gifts with the people around me. I want to talk about things that matter. I long to have real conversations in my community about race and racism. As my dog, Otis, and I explored our neighborhood today, I got to thinking: little can subvert the power of modern suburbs like a cemetery. At one time, the land I live on was a small part of the Cedar Grove Plantation. I have not been able to learn much just yet about what happened on the plantation: the precise boundaries, the lives of the owners and slaves who lived here, what they grew, how they came to be here, or the answers to any number of other questions. What I know is that after the Civil War, a group of freed field slaves came from a plantation on St. Catherine’s Island, down the coast a ways from Savannah, and settled on a portion of the plantation. A few years later, the owner of the plantation, John Nicholson, sold 200 acres of his land to those freed slaves, who set up the community of Nicholsonboro. Part of that community’s land was developed in the mid-1980s into the suburban neighborhood where I now live. In looking for information about Nicholsonboro and Cedar Grove Plantation, I ran across a reference to a Cedar Grove cemetery. According to a newspaper article from 15 years ago, some of the settlers of Nicholsonboro were buried there. My imagination started to make some connections. Of course: the old plantation would have had its own cemetery, where at least the slaves would be buried. After the plantation began to be subdivided, new residents of this land would live and die and probably be buried in the same place. A cemetery would not be bulldozed to make room for the tract after tract of houses which now fill the area that was one time the plantation. So, the cemetery must still be around here somewhere. I was curious. I searched online for Cedar Grove Cemetery; none of the mapping services could point me to a Cedar Grove Cemetery anywhere in Savannah. The only references I found were in the archived obituary pages of the Savannah Morning News, offering only information like, “After graveside services in Cedar Grove Cemetery; a repast will be offered in the church hall.” These references only gave me hope; people are still being buried there, so it must still exist. I tried driving up Cedar Grove Road, which turns off of the main White Bluff Road some distance north of my street, but that only led me through another suburban neighborhood and to a fence surrounding the grounds of the Savannah Country Day School. After a chance conversation at work last week led me to a website called “findagrave.com” I finally learned that the Cedar Grove cemetery is at the end of Largo Drive. So this morning, I put my dog on the leash and headed that way. Largo Drive is a main thoroughfare through the Windsor Forest subdivision. At its southern end, it is lined with moderately sized, single-story, ranch-style homes on average size lots. They look like they were constructed in the 1970s or 1980s, although they are very well-maintained. Some of the homes have brick facades, some have wood or vinyl siding, some have a tasteful mix of both. Most have two-car garages and driveways to match. They have well-kept lawns, many of which have one or two large oak trees in them. As I approached the end of Largo Drive, I saw several American-made pickup trucks hitched to flat trailers parked on the side of the streets, a familiar site in neighborhoods where lawn services are contracted to mow and trim. I saw a middle-aged woman taking a handful of items through her wooden gate to the trash cans in her back yard. I saw an older man on a motorized wheelchair passing along his driveway, looking like he was ready to do some chores on the other side of his fence. It is a quiet, pleasant neighborhood which seems to fulfill all of the promises of a suburban development: cleanliness, order, comfort, privacy, and relative affordability for the middle class. I came to the end of Largo Drive. At the end of Largo Drive are some barricades placed by the city traffic department. They are painted with reflective paint in diagonal orange and white stripes. They are set up in a way that it makes it clear they are intended to stop any traffic, auto, pedestrian, canine, or otherwise, from traveling beyond the end of that street. On the other side of the barricades is a tall, wooden fence, which defines the back of the yards of the much-newer houses in the next development over; that is a gated community, and the developers apparently didn’t want to put in an additional gate, not to mention lose a couple of developable lots, by extending Largo Drive into their tracts. Between the reflective barricades and the tall wooden fence, though, there runs a gravel-covered alleyway. I was confused; there was clearly no cemetery here at the end of Largo Drive. More exploration was necessary. Otis and I could just fit through a careless, narrow gap in the traffic barricades, so we entered the alleyway and headed to the right. The alleyway was lined with the high wooden fence of the new development on one side, and the wooden fences delineating the boundaries of the back yards of the ranch-style homes on the other side. Between the alley and the fences on each side were trees and brush which shaded the gravel we walked on. Soon, the wooden fence on the side by the older homes changed to a chain-link fence, and we could see a plot of land where no house stood, only trees. In front of us was a gate. The “Find a Grave” website had warned that the 10-foot fence surrounding Cedar Grove Cemetery would only be opened by the caretaker at the request of a member of the family of someone buried there. But today, the gate was wide open, so we walked in. Parts of the cemetery were well-kept; parts were cluttered with weeds and old arrangements of funeral flowers. A section of the hollow steel pipe which topped the chain link fence along one side had been bent low by a fallen limb. Some grave stones stood proud and gleaming, while others had faded or broken. Some of the graves were clearly very old; a couple others bore dates from 2011 or 2012. Several of the graves were built with vaults surrounded by brick which stand above ground, topped with concrete, probably owing to the proximity of the marshes and Hoover Creek a few hundred yards away. In a couple of these, the name and relevant dates of the deceased were written in the concrete top by a finger, rather than chiseled in block letters by a skilled craftsman or engraved in a bronze plaque like on the other graves. Several of the stones noted important service rendered in the lives of the people they remembered: “PVT 1st Class, US Army, WWII,” “Deacon of the Church,” “Loving Mother.” A number of older stones lay on the ground; one or two still stood, albeit somewhat eroded, and I noticed that the date of birth inscribed on at least one was before the time when life for the slaves on Cedar Grove Plantation was interrupted by the secession of the Confederate states and the subsequent war. As Otis and I explored, I realized that it felt like the cemetery didn’t want to be found. It had hidden itself down the narrow alley, behind the houses, surrounded by tall oaks and chain link. The weeds gave it a wild feel. 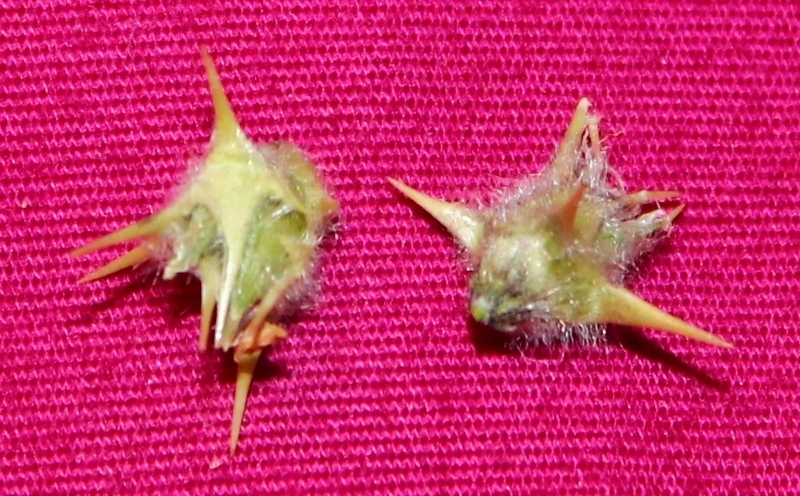 Sharp-pointed burrs grabbed onto my socks and shoelaces, and one even jabbed itself into my dog’s front paw, requiring both Otis’ teeth and my fingers to try to get it out. I am not sure why that cemetery doesn’t want to be known. Maybe its desire for privacy is driven by deference to the pride of the honorable people buried there. Maybe it wants to show respect for the grief of the mourners who seek peace and comfort in the face of death. Maybe it feels some shame for its disorder in the midst of the lawns which are so meticulously cared for by the contractors driving those pickup trucks hitched to trailers lining the streets a few yards away. Despite its attempts to be lost, though, the cemetery still took up that space. And I found a significance to its steadfast witness in the middle of the modern suburbs. Suburban neighborhoods like those I walked through and the one I live in were designed, laid out, and developed to feel like nothing occupied the land before them. They promise that they will be clean, ordered, comfortable, and private for the people who live in their houses. They are modern, not only in design but also in philosophy: they embody the triumph of human ingenuity, technology, and power over nature, over history, over poverty, and over just about any other force which might introduce confusion or disorder or chaos into our lives. They represent progress, so all that is in their view is the present and the future. But no one would dare to bulldoze a cemetery, so it remains, and as it remains, it forces its neighbors to look to the past. It remains as a reminder of the plantation which once occupied the land now taken up by the suburban neighborhoods. It remains as a reminder of the evil foundation of the plantation system: the idea that a person can gain personal wealth by owning another human being and requiring that human being to work until he or she dies. It remains as a reminder of the chaos of war, of the disorder which comes after the defeat of an evil system, of the confusion of what to do when the inevitability of death hits each of us in the face. It remains as a reminder of the nature of nature: of trees whose limbs can crush a suburban fence, and weeds which poke at domesticated life, of rain and wind which erode our memorials to honorable soldiers and deacons and mothers. And as it remains there, surrounded by tall fences and well-kept houses and lawns and driveways, its power subverts the promise of the suburbs, and along with it, modernity itself. Gardening is a way of connecting with a particular place. I have been re-reading Michael Pollan’s 1991 book Second Nature recently. 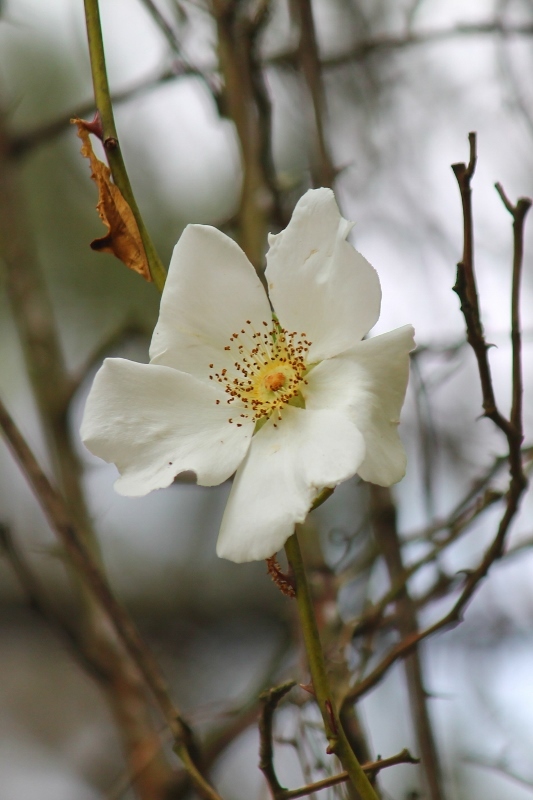 In his final chapter, he quotes Alexander Pope, who advised in a poem once about the importance in gardening of recognizing “the genius of the place.” Pollan took that metaphor to mean that what ought to grow on a particular patch of ground will reflect the particularities of its place, not only its climate, soil structure, light, and pattern of seasons, but also its history: who has tended that same patch of ground in the past, and to what uses it has been put. And so, I started to ask questions about my own average suburban lot. Who owned it before me? What was here before this neighborhood was developed and my house was built? What did the people who were here before me do with this land? I don’t have all of the answers to these questions just yet. But what I do know is fascinating to me, both for the story it tells and the further questions it raises. If you walk off of my front lawn and turn left down the street, after about a block and a half, you will run into White Bluff Road. In the section near where I live, White Bluff Road is a two-lane street. The tall, old oak trees press right up to the edge of the road on its east side, and their branches reach all the way to the yards of the houses and other buildings on the other side. Spanish moss drapes off of most of those branches, and all manner of brush surrounds the trunks of the trees. Not much further north, though, White Bluff Road is a four-lane thoroughfare. It travels through commercial areas and across intersections with major roads until it becomes Bull Street. It doesn’t end until it reaches the front steps of City Hall, about nine miles from its intersection with my street. White Bluff Road has been an important north-south connector for well over two centuries. At some times, it has been just a dirt road; other times, it has been covered in oyster shells, and only relatively recently has it been paved and expanded to handle the traffic of people commuting from suburban neighborhoods to their work, school, shopping, and leisure activities downtown. If you walk across the two lanes of White Bluff Road at the end of my street, as my dog and I frequently do on our evening walks, you will be on Old White Bluff Road. This section of the major connector was bypassed some time ago with a new section a few yards to the west, allowing for a gentler curve which is safer for cars traveling the posted 40 mile-per-hour speed limit. Along Old White Bluff Road, a couple of small houses are on your right. They have hard-packed dirt in their front yards, indicating that it has been quite some time since anyone felt a need to disturb the ground on which children played, young men parked their tripped-out cars, and older women carried their groceries to reach the steps of the screened porches. After about half a block, Nicholsonboro Baptist Church emerges in a clearing in the trees. This is the largest landmark left for us by the previous inhabitants of this place. The story is all explained on a historical marker posted at the intersection where Old White Bluff Road turns off of White Bluff Road. General Sherman declared all of the coastal islands a refuge for freed slaves in January, 1865, the marker says. A couple of years later, the lands reverted to their pre-war owners. The former slaves on St. Catherine’s Island, off the Georgia coast some miles south of here, could not reach an agreement with the owner of that property to stay there and live as free people. 200 of them came here in 1868 and settled on this portion of what was known as Cedar Grove Plantation, owned by John Nicholson. Eighteen of them purchased 200 acres of Nicholson’s land, a section which he called Janesville, paying off the total cost of $5,000 in 1882. The residents and their descendants supported themselves by fishing and farming for several generations, until changes in technology and commerce meant they could no longer make their living that way. According to an article from the Savannah Morning News from 1998, those settlers quickly established a house of worship for themselves. 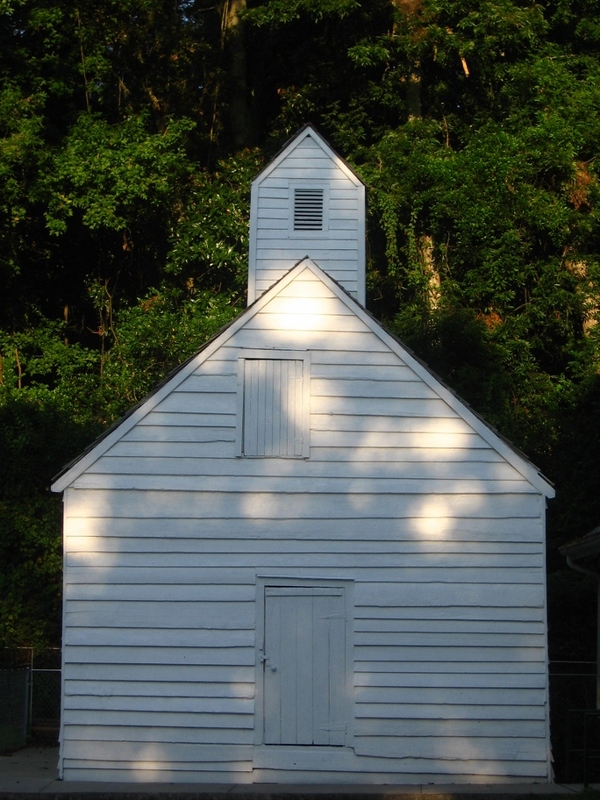 The first building of the Nicholsonboro Baptist Church was constructed in 1870, only two years after the former slaves settled here. The building is a simple sanctuary with wooden benches and a pot-bellied stove in the corner to keep worshippers warm. That old sanctuary still stands, although other structures on the same property are what the congregation now uses for its worship, social, and educational activities. As I reflect on this information about the history of this place where my garden grows, I find I have more questions than answers: What were the boundaries of the 200 acres owned by those settlers? What kind of structures did those former slaves build, other than their house of worship, and where were those structures located? What was life like for the people who lived here? What did they grow on this land to feed their families, bring some beauty to their lives, and haul into the city to sell in the markets? How long did they farm this land, and what happened to it after those freed slaves and their descendants couldn’t make a living off of it anymore? And what was here before they settled in this place? And I wonder, too, why I cannot find answers to those questions easily. Most of what I have learned about the “genius of this place” came from the historic marker set up by the Georgia Historical Society in 1978. Some details were filled in by the 1998 article in the local newspaper. Other than that, an evening spent searching the internet for maps, books, government records, newspaper accounts, or items in historical society catalogs turned up very little. The only major publication I could find with a significant section dedicated to Nicholsonboro is a Works Progress Administration publication from 1940. That book contains transcriptions of conversations with a few of the freed slaves who came here as children, mostly on the subject of their practices of folk healing and magic. One additional publication, the Frommer’s Portable Savannah guidebook, mentions the Nicholsonboro Baptist Church as an interesting diversion for tourists who have a little extra time after seeing the sights of the downtown historic district. What is fascinating to me about the lack of publications about the story of this area is that I live in a region which loves its history. The local bookstore has a whole shelf full of books on Savannah history, covering the settlement of this part of Georgia, its significance in the Revolutionary and Civil Wars, the fascinating people who lived in Savannah, the architecture and history of urban design here, and a quite a few volumes of ghost stories. There are even some volumes on the history of the African American community in Savannah. But a scan of the indexes of those books reveals that none of them mention Nicholsonboro or the other communities which lined White Bluff Road long before my property was annexed into the city limits. And I can only speculate about why. The people out here were simple, country folk. They were former field hands who came here because they were free and they knew how to coax a life out of the land and the water here. They worked hard, they paid off their mortgage to the former plantation owner, and they proudly worshiped in their own sanctuary on their own land in their own community. And that story has not been nearly as interesting around here as the stories of other social classes: wealthy people who built ornate and excessive mansions and town homes, educated people who served as officers in wartime, even the children and widows of high-class families whose apparitions make up the bulk of the ghost stories people tell. I am not sure that race is the issue, either; the published stories of African-American history tell stories of people working their way up the social ladder to become successful professionals. Such stories fit well with the narrative expectations of people who write, publish, and purchase books. But the only stories of the folks out here that are deemed worthy of publication have to do with magic, folk healing, and other “primitive” fascinations. I am sure some answers to my questions about the genius of this place can be found. I know than a few hours searching on the internet hardly constitutes serious research. I even know who I need to talk with next: people who have lived in this part of town all their lives, people who can describe from their own memories what was bulldozed to make room for my street, people who still worship just across White Bluff Road from my neighborhood because their ancestors worshiped there, too. But I also know that value is assigned to stories and to the people who live them when the names of their families and communities can be found in the catalogs of the historical society, the archives of the newspaper, and the search feature on Amazon. And Nicholsonboro does not show up in any of those places.